Pregnancy, childbirth and hormones can alter the way we breathe. Add in the pressures of today's society to do it all and it's no wonder we see so many implications of breathing pattern disorders in women. Pregnancy and Labour - the position of the growing baby in the womb displaces the diaphragm causing an upper chest breathing pattern. The increase in progesterone also stimulates a faster breathing rate. Pregnant women often complain of being short of breath. Learning to breathe well can help lessen the impacts of pregnancy. Breath awareness during labour can help to control pain and increase energy. A strong diaphragm means a strong pelvic floor which helps with delivery. Incontinence - The diaphragm works in conjunction with the pelvic floor muscles, the back and abdominal stabilizers to provide for optimum management of breathing, movement and stability. A breakdown in this teamwork can lead to things like low back pain, pelvic pain and incontinence. In fact, a 2006 study out of Australia found that breathing problems were highly linked to low back pain and incontinence (Smith, Russell and Hodges, 2006). 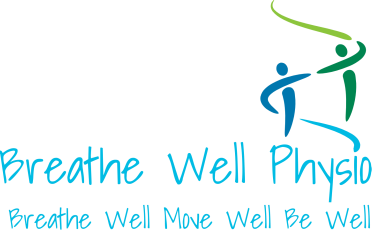 At Breathe Well Physio, the foundation to women's health is learning how to breathe to move. Restoring optimum function means retraining your breathing patterns and integrating them into funcitonal movement patterns. Gone are the days of sitting around doing Kegel's at stoplights. Now is the time to breathe well, move well and play well.